This two-day workshop provides support and technical account managers with the relationship skills and account management tools they need to proactively increase customer loyalty, generate new business and improve their confidence when working with senior executives. In this highly-interactive workshop participants will learn the skills to become a top performing account manager and have the confidence to deal effectively at all levels within their accounts. They will be provided with tools that will allow them to develop trust while effectively managing relationships within their accounts and their own organisation. Attendees will have the chance to plan and practice real-life situations with their key accounts. Define the benefits of effective support account management to the customer, the company and the account manager. Understand the four core competencies of top performing account managers and their critical expectations. Handle escalations effectively and efficiently. Establish trust to build strong client relationships. Balance customer advocacy with company advocacy. Learn to persuade others beyond your control. 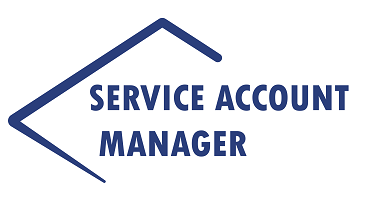 Learn and practice usage of six key account management tools. Everyone tasked with providing support for strategic accounts. To request a course brochure, please complete our Contact Us form. Outstanding instructor, I had a blast! Looking forward to apply this in my line of work. Steve was very entertaining and informative. I very much enjoyed his class. Some screenshots are too small to read, otherwise Steve is an excellent trainer, thank you. An assessment test would be nice! Great course, thank you. Very insightful class, have definitely gained some skills & knowledge to take back with me. Great instructor, would recommend to all of my colleagues. It would be helpful if you send students an email a day or two beofre letting students know what topics will be covered. That will allow students to understand what to expect from the session. Other than that all good, thank you so much. Course and presenter are of course qualified. Though takeaways (not all but many) from the class are not applicable to my current job role. Steve, by all means Rocks!! We should have reviewed course content in more detail prior to booking to course as some content was not relevant. Steve did an excellent job adapting on the fly! Found the course engaging and interactive. Will takeaway skills and practice going forward. Very useful tips on mind maps. Some parts may not have been exactly relevant to the VMWare SAM role however all aspects of the course taught great life lessons also. Thanks for taking us through the mind mapping piece. In module 2 change the pre-recorded messages. Steve was very engaging and I got a lot out of this course.